Our friends recently moved from Boston to Northern California, which I had to take into consideration when planning their baby gift package. I wanted to make another hat, but it needed to be lighter, and definitely less bulky than this one. I had had my eyes on this garter ear flap hat from the ever so lovely Purl Bee for some time, and it seemed like the perfect choice to complete my baby gift series. I wrote down my shopping list for the yarn store, was pretty much ready to go with my coat on, until at the last minute I decided to glance over the pattern and saw the dreaded words: short row. I immediately abandoned my idea, took off my jacket, and said goodbye to this terribly cute hat project. See, short rows have terrified me for a long time, probably because I approached them unknowingly, following a pattern that never mentioned anything about picking up the wraps, and there were so many short rows, so many rows before picking up, and I was so upset when I realized, well into knitting it, that my cowl was full of holes. I realized that short rows create a wrap that needs to be picked up in order to avoid making holes, frogged my cowl and set it aside, where it still is, about a year later. Sad, but true. A friend convinced me to give this hat another try, and when I actually read the pattern and introduction, I realized that in this case, the wraps don't need to be picked up, thanks to the garter stitch, and I felt a lot more inclined to give it another shot. Without worrying about the wraps, short rows are super easy. 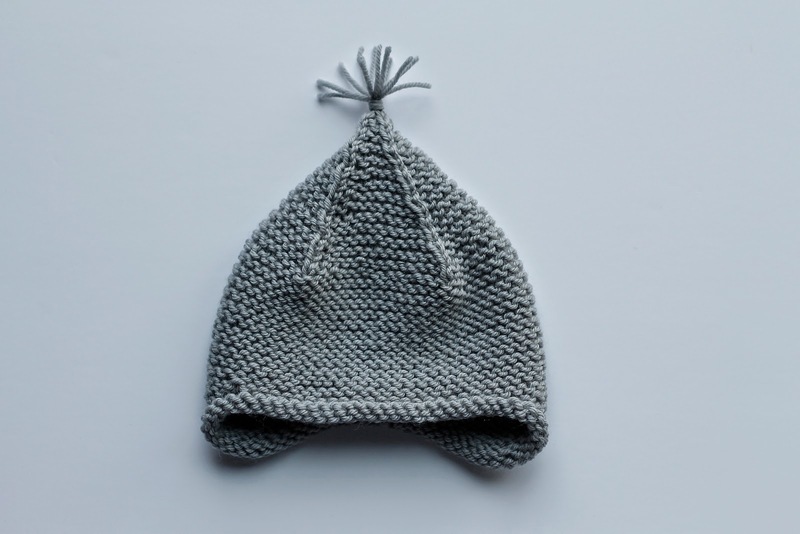 Now that I've used them, I actually see how amazing they are, allowing you to shape the knitting as you go, in this case creating the ear flaps without any funny grafting or complication. So I've decided to give them a chance, and not shy away from a great project because of them. For now. I'll let you know how it goes. Another realization was that baby projects are perfect for practicing new skills. 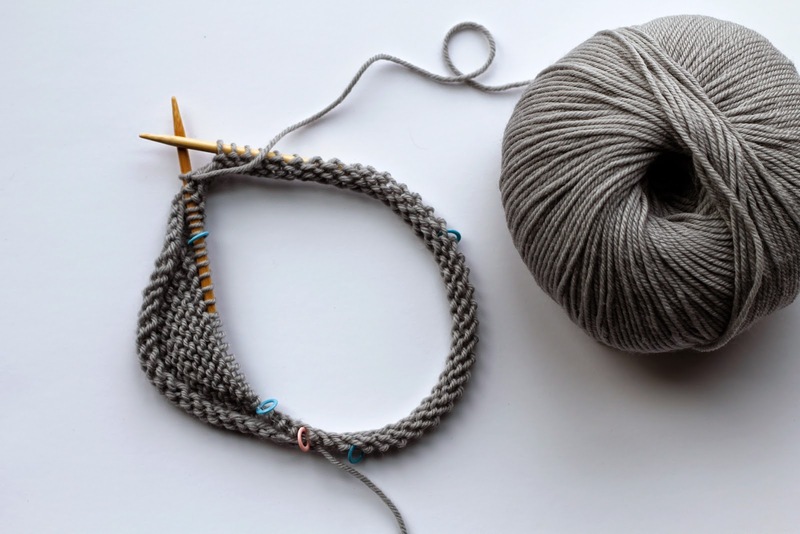 Since they are much smaller, and therefore quicker to start with, it avoids the frustration of learning a new skill on a project that is dragging on forever. I made quick progress on my hat, following the directions exactly, until I got to the decrease part, and totally messed it up. Instead of, as written, marking the key stitches, I decided to use a stitch marker after, or maybe it was before the stitch? I thought that I didn't need to write it down, because obviously I would remember and keep track of which stitch it was, right? Or maybe at least be consistent? Of course not. It was and looked like a nightmare. So I ripped it off, started over with removable stitch markers, and avoided most headaches. I love the finished product with the cute tassel, and the simple, classic yet sophisticated signature Purl Bee look. I used Cascade 220 Superwash merino wool, which totally matches these cuties, and is for now my go-to baby knit yarn.